If you have any queries about the Lost-theatres project or would like to discuss any aspect of the project we would be delighted to hear from you. Please do not hesitate to get in contact. Hugh is a Historian of Greek, Roman and 20th-century Irish theatre and performance, and a Lecturer in Digital Humanities at King’s College London. 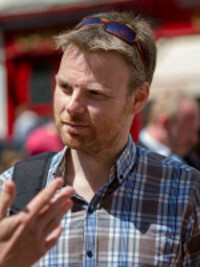 From January 2013 – December 2015 he was Assistant Professor in Digital Humanities at Trinity College Dublin, a post which King’s enabled him to take up by granting a 3-year period of leave from his lectureship in Digital Humanities. He has made major contributions to the development of digital visualisation methods for arts, humanities and cultural heritage research and he proposed and edits the internationally-recognised London Charter (for the computer-based visualisation of cultural heritage). He has directed numerous digital heritage projects funded by the Arts and Humanities Research Council, the Arts Council England, the British Council-Italian Ministry of Research, the Eduserv Foundation, JISC, the Leverhulme Trust and the Metropolitan Museum of Art. 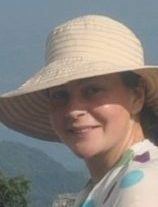 A graduate in archaeology and history, with several postgraduate qualifications in related areas (Osteoarchaeology, GIS and Heritage Visualisation), Freya has over 18 years’ professional experience working within the private and public heritage sectors, as well as in Trinity College Dublin, as a Research Fellow. She is currently a Consultant Archaeologist with Archaeological Management Solutions. Freya has extensive experience in researching, analysing and interpreting primary source material (physical remains, historical plans, maps, photographs and documents) and is proficient in a range of 2D and 3D software packages for digital heritage visualisation. She has project managed numerous archaeological / heritage projects funded by the Irish Government and a significant part of her career and academic studies has been focused on investigating and preserving architectural heritage. 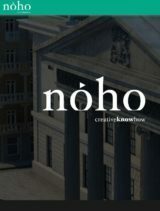 Noho are specialist producers of captivating digital experiences from evocative audio to rich, interactive video, web and 3D. Their experienced team is made up of award-winning animators, designers, video editors, writers and developers who create beautiful and engaging visualisations using animation, realtime 3D and immersive, interactive applications and environments. Niall O hOisin, Director of Noho Ltd., modelled the initial phase of the Abbey Theatre’s auditorium in collaboration with Dr Hugh Denard in 2011. This rendition is now being revisited and enhanced with additional information from new sources as part of the current research project: The Abbey Theatre, 1904, Revisted.